TTech is known throughout the automotive industry as a leader in quality and innovative designs. Their TT400 and TT500 transmission fluid exchanging machines are perfect for the service and repair garage owner who requires significant quality out of their tools and equipment, but also want a resonable price. The TT400 is 12 volts DC powered, so you can just hook it up to the automobile that you are servicing so that you can service it in the feild or out in the lot. The TT500 is 110V AC powered and includes a much wider variety of adapters to service more automobiles including US, European, and Asian manufacturer's cars. The backlit cylinder in the TT500 allows your technician to more easily view the fluid level in the unit. Best of all, they're made in the USA. Contact us today and we'll set you up with one that's right for you.  We've always got the lowest prices and the best deals here at ASEDeals, and frequently these are on sale at the lowest prices around. T-TECH Pro Plus ATF Exchange Unit Utilizes revolutionary process to exchange virtually 100% of the vehicle's transmission fluid. TTech transmission fluid exchange machines are a vital component to any automotive shop. Many other transmission fluid exchangers do not exchange nearly as high a percentage of the waste fluid oil as the T-Tech machine. Effective cleaning of the entire automotive engine system is accomplished and the maximum amount of oil is replaced to assure the engine has full replacement. TTech is a division of Clore Automotive, one of the leading garage equipment manufacturers in the industry with decades of experience with hands-on technicians that assures you of a product made for professionals and made to last.